More often than not, most people living in today’s modern society have no idea about where to start looking for death records of long-deceased distant ancestors. Fortunately, a little-known fact is that one of the richest sources of antiquated death records is buried right beneath their noses inside local funeral home files. Below is a guide to locate death records that predate central databases without long-distance travel to faraway places. What Realistic Discoveries to Expect from Quests for Funeral Home Death Records? Above-listed data are quite apparently far more extensive than contained in certified death certificates that may be obtained only by relatives or legal reps of registrants. Thus, whether a casual genealogy researcher or a close blood relative, your single best place to launch a quest for comprehensive death records is a funeral director business premises. 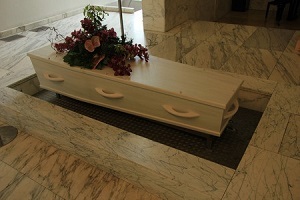 How to Find the Proper Funeral Home? Start with a close inspection of pertinent record(s) in your current possession by using the finest-toothed comb you can possibly find. Pay special attention to the newspaper death notice, obituary or death certificate that typically lists which pre-burial service provider was employed. Should this fail to bear fruit, do an online search engine query for the provider named in the print funeral program or card. After identifying the funeral home’s formal name, locate the address online or from a local phone directory. If none of those items above are available for review, leaf through old business directory listings for geographic regions where the decedent lived. If the funeral home has gone out of business, check with nearby existing funeral parlors that frequently assume new management of former competitors’ records. Two other excellent sources are local public records libraries and archive collections that often contain death records donated by funeral homes located in nearby areas. Funeral home records are highly reliable to the extent of the decedent’s name, death date and place of death listed. One very rare exception to this rule occurs when the decedent’s remains were transferred to a different funeral provider’s facility. All other data except the first three items mentioned above are no more reliable than the affiant’s best knowledge and recollection at time it was provided. Forearmed with this insider’s well-informed knowledge, devise a strategic plan of attack to your proposed genealogy research that’s prioritized by direct proportionality of raw data reliability. In simpler terms, start with the most credible clues and go from there.